In an effort to alleviate elephant overcrowding and in response to public pressure, South Africa's National Parks Board has stopped culling elephant herds and now relocates them. 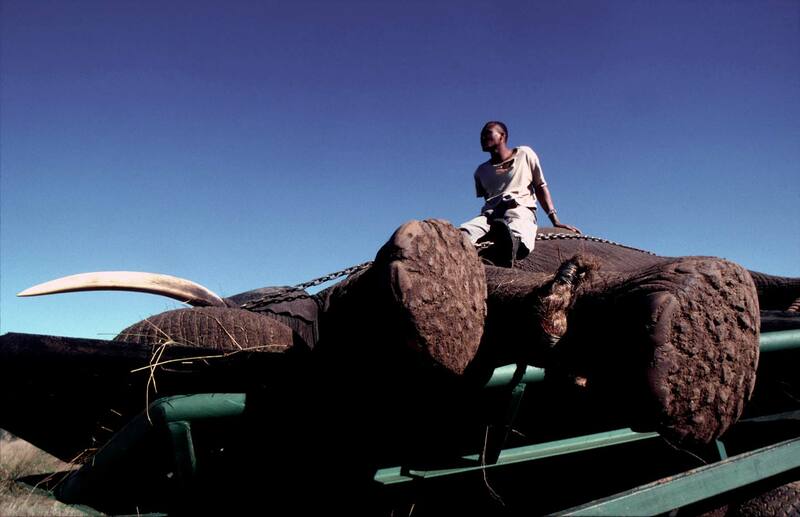 This particular elephant is being moved from Kruger National Park which was established in 1898 as the Sabie Game Reserve by President Kruger. Today, the park is one of the oldest, biggest and most famous wildlife parks in the world. On Sunday, May 26, Clemens visited Transvaal President Paul Kruger: "He was in ordinary every-day clothes, & sat in arm-chair, & smoking Boer tobacco (the common black kind) ..."